Would you love to have a game you can play anytime, with anyone, anywhere? Read the rules of Spellslingers here! For more rulings, check out our FAQ here! Check out our competitive format : Deconstructed and other formats! • Become A Spellslinger: Learn the ways of a Spellslinger, by casting powerful bolts of lightning, summoning raging fires, and blasting your opponent's mind with psychic energy! • Strategic Casting: Learn many spell strategies and combos to create devastatingly awesome outcomes! • Quality: Linen finished quality. Also the game is sensitive to colorblind issues. Fun fact: The creator is colorblind. • Multiple Ways To Play: All you need to play Spellslingers is one deck of cards! However, if you wish to go head to head, there's many additional game variants to peak your interests! Learn more here. Give Me This GREAT game! Red (Rage): Red is the color of Rage Magic and has the most aggressive spells. It relies on the user's passion to harness powerful spells. While Rage Magic specializes in delivering damaging blows, its biggest weakness is its lack of defense. Green (Nature): Green is the color of Nature Magic and its spells bend nature to your will. Its strengths lie in "area of effect" attacks; powerful spells that attack all of your adversaries. Additionally, they rank second in offensive and defensive magic, making them the most balanced of the colors. Nature's biggest weakness is that it doesn't dominate in any specific area. Yellow (Holy): Yellow is the color of Holy Magic and allows its caster to protect and boost their allies, as well as deliver punishing blows to those that dare attack them. Holy Magic is best defensively, making them the hardest to kill, but suffers from its slow ability to react. Blue (Arcane): Blue is the color of Arcane Magic which excels at disruption of your enemies' focus, while learning your opponent's darkest secrets. Arcane Magic's strength lies in its ability to manipulate circumstances to your favor. Arcane's biggest weakness is it has the least offensive spells. Like what you see? Get your copy at the link below! We're proud to have Spellslingers represented in the following stores! 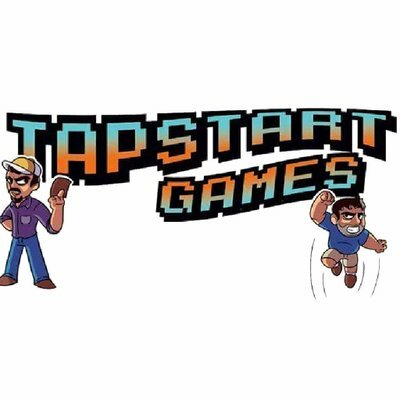 Are you a retailer looking to carry our game? Or do you want Spellslingers carried at your favorite game store? Send me an email at vincentsbaker(at)gmail.com! Get my copy of the game! Spellslingers is now on Tabletopia! Hop online and play a game or two, or three! For stores carrying Spellslingers - we offer Tournament Promos! Card's to hand out to winners at your spellslingers events. These cards are free for any participating store or convention. Draw attention of local Spellslingers! For stores and conventions we offer Spellslingers skins! These "skins" can be purchased and are exclusive to your store! The card pictured on the right is a re-skin of our "The Undying Wizard" originally illustrated by Jared Sanford and designed by Joshua Avenall. This skin is exclusive to Richard's Comics in Greenville, SC! Skins do not change the abilities of the card, just artwork! When I was a kid I used to draw all the time. I was known as the artist and whenever I saw friends and family, they were always interested in what I had drawn. Fast forward to my adulthood and I realized that I wanted to focus more on the game design and world building aspects than doing artwork. I was sitting in my room frustrated about how difficult it was to show off my game design chops. At this point all I had made was Otherworlds, a tabletop roleplaying game and because of that, it made it difficult to show people. BOOM! Spellslingers was made! In that night I created the idea of wizards duking it out, slinging spells back and forth and in relentless duel of magical proportions! Since the game was meant to be a great game for demoing, I also knew it needed to be easy to learn for all ages. The end results were incredible. I’ve heard from hundreds of people about all the things I designed to be. It was awesome! They didn’t know my story, but they practically pieced it together through playing the game. Spellslingers has now gone on to be Vindicated’s best selling game and a hallmark for what Vindicated can offer! Want to receive exclusive Spellslingers content? Sign up with your email address to receive exclusive insights, news and updates.